in spite of the wars, massacres and disasters. Khachkars (cross-stones) have a special niche in the creative work of Armenia. Embroidered curves, nice ornaments strike with their perfection.  Clay is a rather characteristic material in Armenian routine. The fine pottery items verify with abundance of forms and way of trimming. 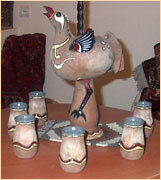 Up till now one can meet everyday clay objects in every house of Armenians. Saltcellars, in the form of woman, are found in the ancient excavations and in modern kitchens. They symbolize the goddess of love and fertility - Anahit, later the Godmother - S.Mary. 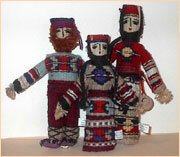 The ornaments of Armenian carpets are famous and well-known all over the world and are considered as classical. The vases and boxes made from the wood of plum, apricot, nut are beautiful and unique. Visiting our shop you can buy the works of the masters who use the traditional methods in preparing items. Through millenniums the clay, the stone and the wood have been widely used in Armenia not only as building material but also as the mode of life and decoration. The skills of Armenian masters have been sharpened through the centuries. In the skillful hands of the master the pieces of the clay become a unique saltcellar, in the feature of the woman - the symbol of fertility, the clod of the stone - nicely crafted khachkar, the root of the tree turns into a beautiful statue. Armenian carpets are known all over the world by their quality and unique ornament, which confirm the diligence and the talent of the Armenians. Visiting our shop you will acquire nice recollection about our country.